PSP is increasing the number of high-performing schools in Philadelphia and creating the conditions for great schools to thrive. We invest in the creation, growth and improvement of quality schools for low-income students. How does PSP invest in portfolio schools? Incubating new school ideas: We award Incubation Grants to talented teams, individuals and organizations so they can develop plans for new school ideas. Opening new schools: PSP awards Startup Grants to proven leaders with fully developed plans so they can open new schools. Transforming struggling schools: We award Turnaround Grants to school operators with a strong track record of successfully turning around or operating quality schools. Expanding high-performing schools: PSP awards Growth Grants to expand or replicate existing successful schools so they can serve more students. How else does PSP support schools? Direct school support: In 2017, to ensure portfolio schools remain high-quality as they grow in size, PSP started providing direct programmatic support to a targeted set of schools. This initiative, named Target School Support Initiative (TSSI), helps schools build capacity in strategic planning, teacher development, data-driven instruction, and student support structures, ultimately leading to better outcomes for students. Communities of Practice: PSP sponsors working groups, called Communities of Practice (CoPs), where practitioners can learn new skills and share resources in a supportive environment. PSP offers CoPs in six high-impact areas: data and assessment; math systems; instructional coaching; literacy; talent management; and special education. Based on the principle that two heads are better than one, we believe teachers are better prepared to help students when they share experiences and learn from each other. Technical Assistance Grants: Small awards made to active and non-active Philadelphia School Partnership portfolio schools. The goal of this funding is to increase network or school capacity, through a specific initiative, that will ultimately result in increased student achievement gains. What has been PSP’s impact? Over $65 million invested: Since 2011, PSP has awarded over $65 million to schools of all types to improve educational outcomes of children in Philadelphia. Over 60 schools: PSP has invested in 64 schools across the city. Opportunities for students: As a result of PSP’s investments, high-achieving schools have expanded their enrollment by more than 26,000 students. PSP invests in innovative programs that prepare and develop teacher and leaders for the rigors of working in urban schools. 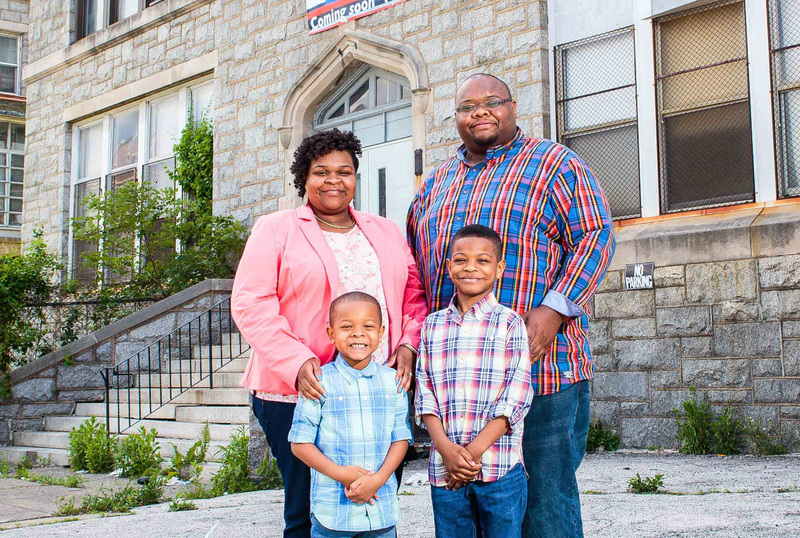 PSP is leveling the playing field for Philadelphia families by providing the information needed to discover the best schools for their children.